Do you suffer from low blood pressure? These foods can help you! Hypotension is a condition that causes abnormally low blood pressure. The most common symptoms are dizziness or lightheadedness. Episodes can last between a few seconds to a couple of minutes. In this article, we tell you which foods can help you when you’re suffering from low blood pressure. What’s hypotension and why does it happen? Blood pressure is the pressure exerted by the blood on the walls of the vessels. Hypotension is poor or less-than-normal tension (depending on the person’s age or gender). When blood pressure is low, not enough blood reaches the vital organs. Taking pain relievers, anti-anxiety drugs, and antidepressants. Suffering from arrhythmias or heart attacks. Taking diuretics or heart medicines. Suddenly changing your body’s position (for example, when getting out of bed). If the reason for hypotension is dehydration or a heat stroke, then the most effective remedy is to drink water. Start slowly with some sips and drink more as you feel better. Don’t forget that we must drink two liters of water every day to properly hydrate our body and prevent various symptoms. Do you always have low blood pressure? Then don’t hesitate to carry some chocolate in your bag. Its theobromine contents raises blood pressure. We recommend eating chocolates with more cocoa than fats or milk because they’re healthier. These well-known “sports drinks” are recommended for people with low blood pressure since they contain various minerals such as sodium, magnesium, and potassium. If drinking mineral water doesn’t completely improve your symptoms, try isotonic drinks. Due to the fact that cheese contains salt, eating a cube of fresh cheese is an excellent idea when your blood pressure drops. You can also eat a turkey sandwich, an olive, or a pickle. The sodium that these foods contain is enough to prevent hypotension. However, you shouldn’t overdo it with your salt intake as it can raise your blood pressure too much and pose a health risk. As with salt, it’s good to consume caffeine in small amounts if your blood pressure is low. A cup of either hot drink is enough. Don’t over-consume either drink because they can cause tachycardia. Licorice is an interesting option to prevent new episodes of hypotension. This is because it regulates blood pressure and can be consumed in both teas and desserts. For example, if it’s very hot in the summer, drink a cup of licorice tea during breakfast to prevent blood pressure drops. Due to their vitamin B contents, nuts can balance blood pressure. Furthermore, they prevent not only hypotension but also hypertension. You can carry a small bag of almonds, raisins, nuts, and hazelnuts with you and consume them if you start to feel bad. Other foods that offer this vitamin are legumes and cereals. You should have a rosemary potted plant in your kitchen to use it to cook (especially meats). 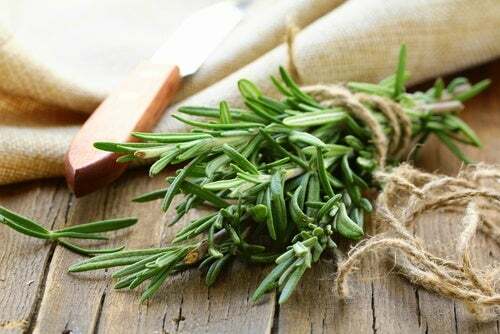 Rosemary maintains blood pressure levels. We recommend that you consume it as a tea when you start having symptoms. Although all fruits are good for preventing dehydration or relieving symptoms of hypotension, there is one group that stands out above the rest: citrus fruits. Don’t hesitate to eat an orange or grapefruit or enjoy a kiwi for dessert. You can add rosemary to meat so that you’ll double its benefits. In addition to meat, we also recommend eating some pickles if you’re suffering from a serious hypotension episode. However, don’t take advantage of this to eat a giant steak. Just one or two bites will do it. Otherwise, you’ll be consuming too much fat. Lie down and elevate your legs or sit down and then put your head between your legs. Open the windows and breathe in fresh air. Eat a snack or something sweet. Stop doing what you’re doing to avoid fainting or falling down. If your symptoms don’t subside, call 911.